I’m in love with this orginally-designed supercar by Portugese builder Alexander Paschoaletto. 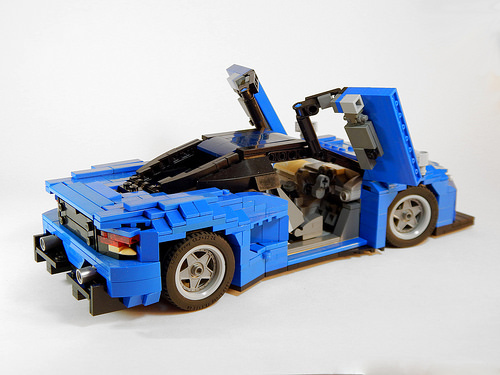 The builder is certainly no stranger to building wicked sports cars – just look through his Flickr photostream to see a ton of awesome designs, some real, others completely original. 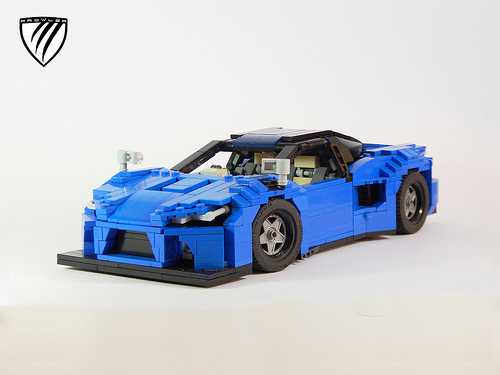 Alexander blew it out of the water with his latest creation, which features opening Lambo doors, a lovely color scheme and the curves to drive anyone wild. No small amount of work went into bringing this lovely design to life and you’ll notice some clever parts usage to achieve this distinctive look. There are lots of details to appreciate, from those awesome looking headlights to the exquisite interior. Even sitting still, this supercar looks like it’s going 200kph. Yaeah Alex is very talented. I really like his creations. However he is Brazilian, not Portuguese. Actually Alexander Paschoaletto is a Brazillian builder from LUG Brasil.